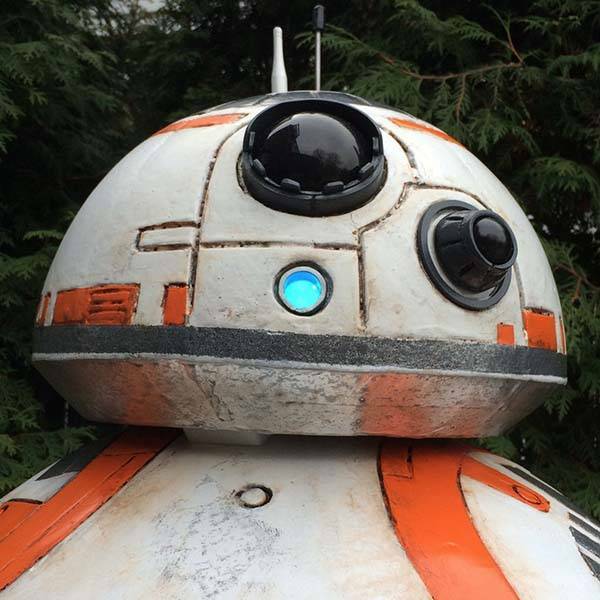 There are lots of BB-8 inspired gadgets and toys including the app-enabled BB-8 droid, but if you have a preference for DIY, you may more like to make your own 1:1 scale BB-8 droid replica. 1truedrum, a Canadian maker created the highly exquisite BB-8 droid replica. 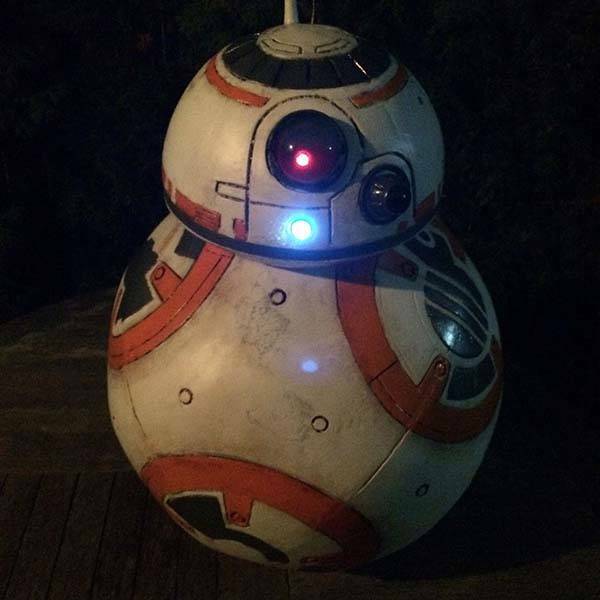 As shown in the images, the life-size BB-8 boasts meticulous detailing and accurate colors from the original droid in Star Wars: The Force Awakens, so we can see an intelligent domed eye built with half of a clear plastic ornament ball, vivid light effect by built-in LED lights and more. Moreover, the skillful talent used the materials lying around his studio and purchased only what he needed to, so you don’t need too much budget for the project, and all steps have been released. 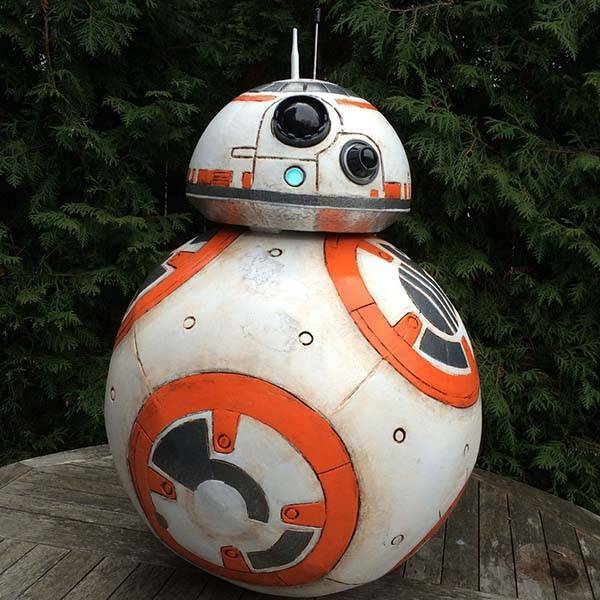 If you want to build a life-size BB-8, jump to instructables for more details. BTW, also don’t miss the BB-8 inspired heels and more related cool stuff by following tags.